BAR HARBOR, MAINE — The increased prevalence of diabetes is causing an epidemic of chronic kidney disease (CKD) that is creating a huge burden on patients, families and the healthcare system. Indeed, the federal government spends more on kidney dialysis than on NASA, the Department of Energy or the National Institutes of Health. 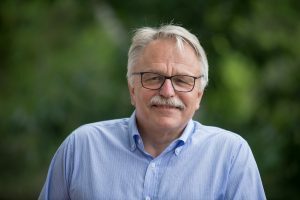 Diabetic kidney disease and its implications for public health will be the subject of a Feb. 11 MDI Science Café entitled “Chronic Kidney Disease: The Hidden Danger of Diabetes” by Hermann Haller, M.D., president of the MDI Biological Laboratory and a renowned nephrologist, or kidney specialist. The MDI Biological Laboratory-sponsored event will be held at 5 p.m. at the Maine Center for Biomedical Innovation on the institution’s campus at 159 Old Bar Harbor Road in Bar Harbor. Haller will discuss diabetes as a risk factor for CKD and end-stage renal disease (ESRD); current treatments options; recent advances, including the contributions of the MDI Biological Laboratory; and efforts to address the limitations of current therapies — dialysis and kidney transplant — through the development of artificial organs. While Maine has a lower-than-average incidence of diabetes, ranking 31st among the 50 states, the disease still exacts an enormous toll. The cost of diabetes in Maine is estimated at $1.6 billion annually and it accounted for about 43 percent of new cases of ESRD in 2008, according to the Maine Department of Health and Human Services.